Birch – The Beginning, book 1 in the Trilogy. In the ancient land of Modania, gods and demigods create three wizards to protect the elements, the land and the people and keep them safe from the powers of evil, and particularly the scheming tyrant Lord Zelfen. Little do any of them know that the fate of all of them lie in the hands of a simple forest boy and a strange and terrible beast to which he is mysteriously bound. 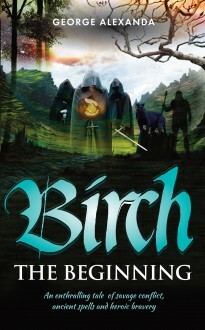 Birch – The Beginning is the first in an enthralling trilogy involving savage conflict, ancient spells and heroic bravery.